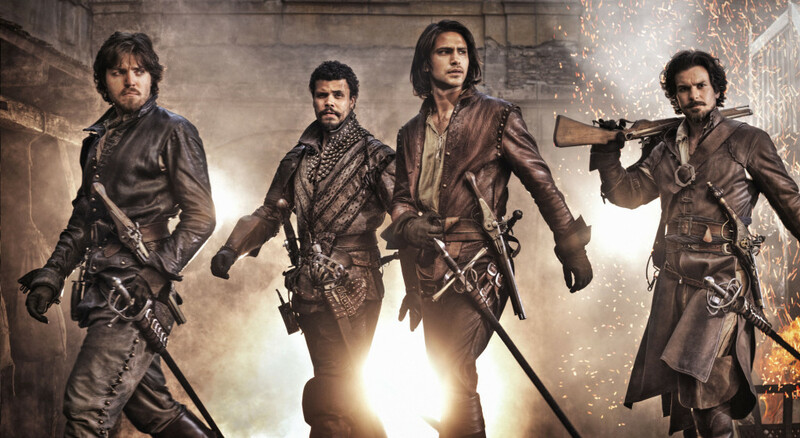 BBC One’s Sunday night swashbuckling series The Musketeers, based on the classic Alexandre Dumas’ characters has been recommissioned for a second series. The launch of the 17th century set drama, created by Adrian Hodges attracted a consolidated audience of 9.3 million for episode one – the BBC’s biggest drama launch since Call The Midwife. Subsequent episodes so far have garnered 6.3 million viewers in the overnight ratings. Set on the streets of 17th-century Paris where law and order is more an idea than reality, the series follows King Louis XIII’s personal bodyguards, The Musketeers, played by Luke Pasqualino (Skins, The Borgias) as D’Artagnan, Tom Burke (Great Expectations, The Hour) as Athos, Santiago Cabrera (Merlin, Heroes) as Aramis and Howard Charles (Royal Shakespeare Company) as Porthos, who ultimately stand resolutely for social justice: for honour, for valour, for love and for the thrill of it. Due to time constraints filming Doctor Who, Peter Capaldi, who plays Cardinal Richelieu in the current 10 – part series, will not be returning for the second series. Writer Tom Grieves confirmed in an interview with us here at Inside Media Track that he will be penning one of the second series episodes. The series is made by BBC Drama Production and co-produced by BBC WorldWide and BBC America. Jessica Pope is the BBC executive producer, Adrian Hodges is an executive producer and lead writer, and Colin Wratten is producer. The Musketeers continues on BBC One tonight with episode 4 guest starring, JJ Field, Vincent Regan and Phoebe Fox. Other guests yet to appear in the remaining seven episodes include: Ashley Walters, Amy Nuttall, Tara Fitzgerald, Annabelle Wallis, Zoe Tapper, Vinnie Jones and Sean Pertwee.